IOGA Members,As you can see with the amount of information coming out of the IOGA office, the staff has hit the ground running in 2015. The need to send this month’s Government Affairs report as a separate FYI lets you know that the Legislature is back in session and that Grant Simonds, our Government Affairs Liaison, along with our Lobbyists, Jeremy Pisca and Tyler Mallard, are focused on monitoring anything that might effect our industry. Speaking of the legislature, preparation is well underway for our bi-annual Lobby Day event on February 18th here in Boise. Lynn Demerse and Janey are working hard to secure not only the supplies but also the manpower needed to pull off this event. We certainly hope you can join us on the 18th and would appreciate any donations or assistance you might be able to lend this very anticipated event. For more information on how you can help or to give a donation please contact Janeyat the office. This is also the time that the IOGA takes our story to the road. With the help of our Board and general membership we have or are currently attending the following shows: The Wild Sheep Foundation Show in Reno, The Shot Show in Las Vegas, and the Safari Club International show also in Vegas. These shows give us a great opportunity to promote outfitting activities in the state of Idaho as well as spread the word on our first two official branding campaigns “Raft Idaho” and “Hunt Idaho” the latter of which is just rolling out. The Shot Show in particular was a great partnership opportunity provided to us by the Department of Commerce. 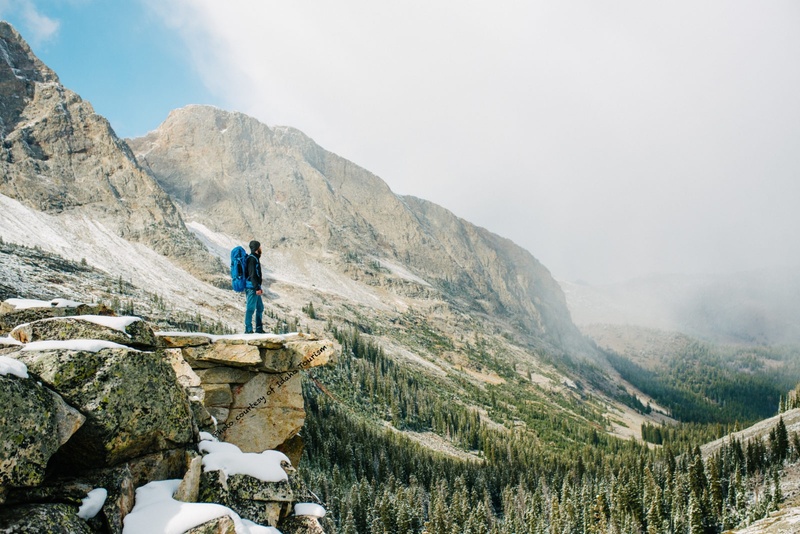 The State of Idaho has really stepped up and is acknowledging the importance of what the outfitting and guiding industry does for the state’s economy as well as Idaho tourism. This acknowledgement extended an invitation for our industry to be represented in the Idaho booth. I think it is important to note that besides the state’s economic development folks we were the only industry asked to participate. Besides fostering a positive relationship with the Department of Commerce, the show itself gave us a great opportunity to connect up with many key businesses that have indicated that they would like to be aligned with our association. Many of these companies have agreed to offer at a minimum new “Pro Deals” for our members, to become Associate Business Members and to look at various sponsorship opportunities within the IOGA. Stay tuned for more on these new partners and please support our associate members when you can. Don’t forget that if you are interested in participating in the “Raft Idaho” State Co-op program you need to contact Josh Mercaldo at Drake Cooper by the end of business next Monday, the 9th. This is a digital marketing campaign that will allow the IOGA to promote and direct business to our Raft Idaho site while allowing your company to drive business directly to you. This is a win-win for all and only available to IOGA members. For more information contact Josh. Our new 2015 Membership Directory is available and the digital copy will be added to our IOGA site shortly. Let us know if you need a copy of the new directory or if you know of someone who does. We would be more than happy to send them one or even better send them the link to the online version. Remember that the IOGA is working hard to represent and promote our industry but we cannot do it without the support of the individual Outfitters and Guides in Idaho. Membership is key to what we can do, so if you know someone who is not involved with the IOGA please encourage him or her to do so. We are proud of what we are accomplishing and want you to be proud of it to. This month, I would like to take the opportunity to celebrate a special guide – someone who was selected at the annual IOGA meeting in Boise, as IOGA’s Boating Guide of the Year (GOTY) for 2014. Audrey Gehlhausen was chosen as the first ever Boating GOTY. Based during the summer months in Salmon, Audrey drives sweep boat on the Middlefork for ECHO River Trips and works on other rivers in the West outside of the Idaho season. This past year marked a special beginning, being the first year Idaho GOTY awards were presented. Audrey being the first boating guide to be awarded for her excellence at work makes it that much more special. Audrey’s employer, Zach Collier at ECHO, created a nice blog post explaining what made Audrey Idaho’s highlighted river guide in 2014. Please check out the blog and Audrey’s profile video. In other news, the process has begun… We have a few nominations for folks to join Kelsey Helfrich-Youren and Kidd Youren on the committee of guides, to help us put the ‘G’ back in IOGA. Final selections for this committee will be announced in the next bulletin. The main purpose of this committee will be to generate and refine ideas to help IOGA be more of a direct benefit to its guide members. At this point in time, nominations are still open, so feel free to email your recommendation to Shane Moser. Guides have avenues to stay informed. Outfitters and guides alike can keep up with the Idaho guiding community on Facebook. Follow the “I Guide Idaho” Facebook page, as well as the IOGA Facebook page, in order to keep up on current events. You may not know it, but there is an option for guides to join IOGA at a discounted rate. You can become a member for a very affordable price, and receive all the benefits of being an informed IOGA member, without voting rights. Or you can join for full price to become a voting member and have your own say at the annual meeting in Boise. Get a hold of Janey Bruesch at the IOGA office to join, or if you have other inquiries. 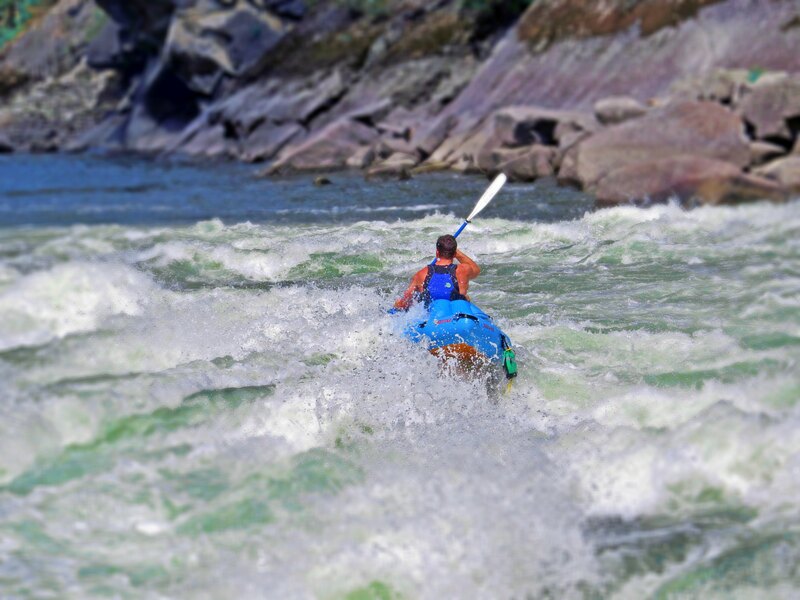 Salmon RiverFest and the Idaho Guide Rendezvous are combining forces in 2015!! May 8-10 in Salmon. A big party to celebrate the Idaho river community, and raise funds for the proposed whitewater play-wave and park in downtown Salmon, Idaho. On-river events, as well as live music and an ol’ fashion good time! Discounted Swiftwater and WFR certification courses on either end of the festivities. Click here to register. Orvis Guide Rendezvous in Missoula, Montana, is open to all guides. April 23-25 in Missoula. “Orvis puts together seminars, presentations and workshops designed to help you as a professional fly-fishing guide. … Brush up on your casting instruction skills and talk to the Rod & Tackle product development team about what’s coming up in 2015 and beyond.” Click here to register. Salmon Select Horse/Mule Sale and IOGA/INRF sponsored Wolf-howling Contest. Thursday, April 9th in Salmon. 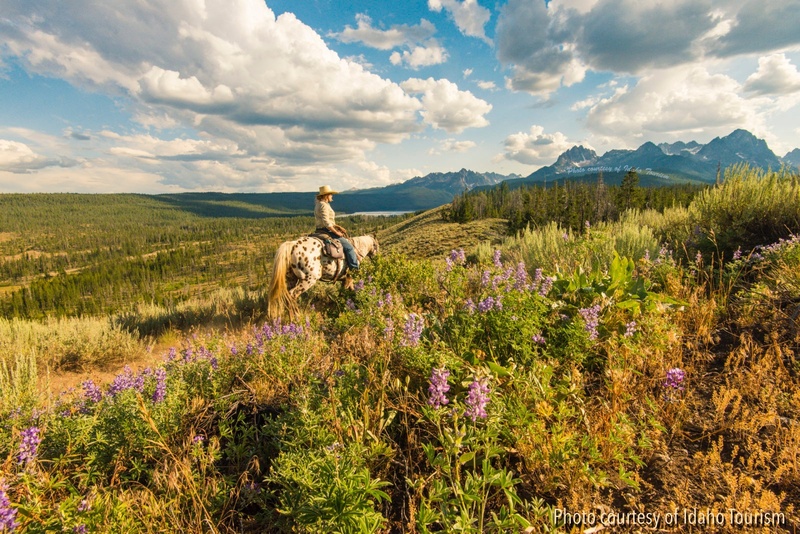 Come to Salmon to celebrate the ranching and guiding communities for this annual event. Consider volunteering for the annual IOGA-sponsored Lobby Day in Boise, February 17-18, 2015! Good help is hard to find. If you’d like to get involved from the ground level, this hands-on event can always use some good dish-washers and Dutch-oven aficionados and is a great way for guides to get involved. Contact Janey at the IOGA office for details. PLEASE LET US KNOW HOW THE GUIDING PROFESSION IN IDAHO CAN BE MADE BETTER. What needs to happen? What is lacking to make guiding a true profession? Feel free to direct your correspondence to Shane Moser. Look forward to bios highlighting the rec and hunting GOTYs for 2014 in upcoming newsletters: congratulations Tim Hull and Dave Handy, respectively! 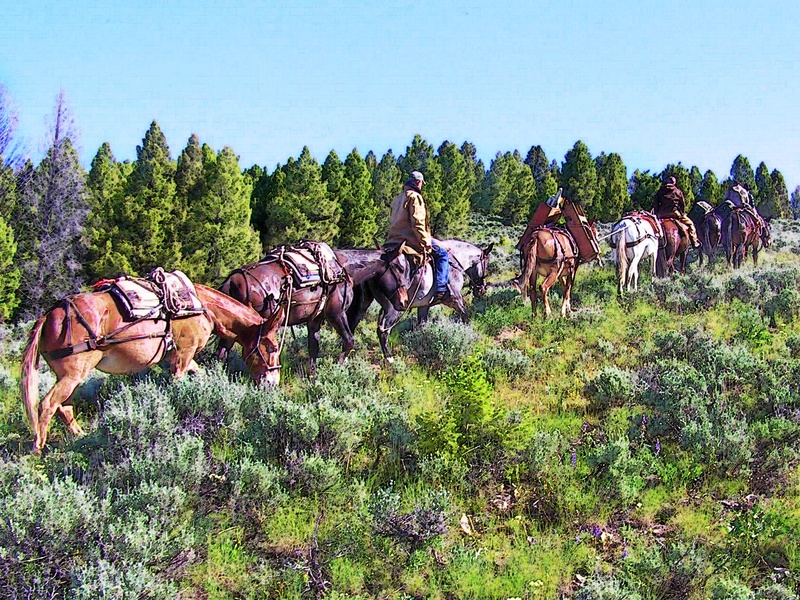 Many of our members are also involved or interested in what the Back Country Hunters and Anglers are doing especially since we have an Idaho Chapter. So we thought we would pass on an invitation to join them for an upcoming “Public Lands Rally” they are having at the Capitol on February 12th. They have extended an invitation for anyone who is interested to attend. See the details on the attached poster. On December 27, 2014 Michelle Zettel passed away after a 14 year battle with cancer. Her husband, Steve stated that no one will feel the loss more or be as negatively impacted as their youngest son, Joel. If you have ever met Joel, you know he’s as special as they come. For more information on how you can contribute to Michelle’s memory and Joel’s future, click here. FOR SALE – Salmon River Experience: Includes positive brand recognition and market share, all equipment (37 S.B. rafts/boats, 25 S.B. IK’s, enough associated equipment for up to 300 guests) vehicles (buses and vans), permitted and licensed on SA7A, SA7B, SA8, SN12, SN14 (Riggins Area, Lower Gorge, Hells Canyon) Asking $295,000. Real property at Riggins for sale or lease separately. Contact Chuck Boyd or 800.892.9223. FOR SALE: 2006 Maravia Tempest, 16’6″, very good condition, $3,850 and Recretec Deluxe aluminum cargo breakdown frame and boxes, white powder coated, very good condition, $1,600. Contact Willi or call 208.806.1218 for more information. Salmon River Outfitting Business for sale by owner – multiple river sections and diverse business with a long operating season, great clientele and a successful track record since 1997. Offered as a package or by segment. Call (208) 634-6749 or email for more information. Diamond D Ranch is looking for a cook at the ranch for this coming season! It would be the lunch/dinner chef position. Pay DOE. Experience in cooking for large groups needed! Contact Kara Demorest for more information. If you are in need of well trained individuals i.e. Packers, Guides, Wranglers or Camp Cooks, we have students ready to go to work. Contact Elm Outfitters and Guides Training Program 406.961.3603 You can also check us out on facebook. Marketing Systems designed especially for Guides, Outfitters & Lodges. Our systems utilize both web and mobile technology to systematically drive more interested clients to you. We are offering a webinar on February 12 and the first 45 minutes is educational information. We are not a website developer but we do help you get more out of the website you currently have. Click here for more information. Satmodo Satellite Phone Rentals starting at $34.99/wk – Watertight case, 2 Batteries, chargers all Included. 10 FREE Mins! Reach us at (800) 279-2366 or via our website. Do you or anyone you know like Jerky?!!! To get it shipped directly to your door or sent to any person you wish to surprise visit our website! This product line includes beef, turkey, chicken, or buffalo in many different flavors as well as four flavors of real fruit sticks and also doggy treats. If you are interested in adding another income stream and share a great product that most people will take pleasure in for travel, recreation, hunting, food storage, or emergency preparedness! Call 208-688-1188 or visit our website. For Sale or Lease: We are the 100 Acre Wood Lodge in North Fork, Idaho, located on the Idaho/Montana border& only 3 miles from the Salmon River. We are pursuing a “lifestyle” change & wanted some of our contacts to know we are for sale…(or lease). We are a turnkey operation with plenty of room to expand. We also have a lake, acreage and an Outfitters License. Check out our web siteor contact Jon & Nancy Cummings, 208-865-2165. For Sale: Swan Falls Excursions is licensed to offer inflatable kayak adventures from Swan Falls Dam to Walters Ferry and airboat adventures from Swan Falls Dam to Brownlee Reservoir. The asking price for the business is $40,000, other offers will be considered. Please call for additional details, 800-422-3568 / 541-785-3352. SITKA GEAR announces the Sitka Guide and Outfitter Program, open to any registered Idaho guide or outfitter looking for top-quality hunting gear. Please contact Jeff Sposito for more information. ZEISS Sports Optics announces the ZEISS Guide and Outfitter Program, open to any registered Idaho guide or outfitter looking for top-quality German optics. Please contact Barton Dobbs at 303.903.4455 or via e-mail for more information.